Hull City vs Rotherham predictions ahead of this Championship clash on Tuesday night. The Tigers are aiming to return to winning ways when they return home. Read on for our match preview and free betting tips. 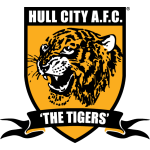 With one victory in four games, Hull City have taken a hit following their recent resurgence. However, could those struggles extend to include this midweek meeting with Yorkshire rivals Rotherham? The visitors are just a point outside the bottom three, while they’re in awful form on the road heading into this clash. Can the visitors pile onto Hull’s recent issues at the KCOM this week, or will the Tigers revert to their brilliant form on Tuesday? The hosts have taken a hit after a flurry of away matches. They were beaten 2-0 by Derby County last time out, after picking up just one point in trips to Aston Villa, Blackburn and Pride Park. That’s not ideal, but it comes after they lifted themselves into the top half after awful form in the early stages. The Tigers raced away from danger and put themselves close to the playoffs with a fine run, and this clash looks like an opportunity to set off on another great streak. Rotherham head here with some poor results behind them, after missing another big opportunity. They drew 1-1 with Wigan on Saturday, another failure to make the most of home advantage. The Millers have relied on their results at their own ground to keep them just clear of the drop zone, and they’re likely to fall away if they can’t up their results at the New York Stadium. After 31 games of the season, they’ve failed to win an away game, picking up 81% of their points at home. Turning around their away form is hardly something we can expect from the visitors. Even if Rotherham could up their game on the road, it isn’t likely to come here. Hull may have hit some trouble in recent big trips, but they’ve recorded five consecutive wins at their own ground. Against the bottom 10 sides, they’ve got a 100% record at home, winning by an aggregate score of 15-0. Given that fantastic record, they are justified favourites to follow up their 3-2 victory at Rotherham with another success on Tuesday. Meanwhile, Rotherham have lost 10 of their 15 away trips, including four of their last five. We think the hosts are really well valued as a result, given that they can add to a great streak here, as well as their excellent record against teams who are sat towards the bottom of the Championship table. A Hull win is what we’re backing here. 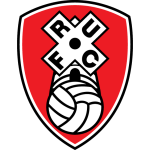 Rotherham are winless in four league visits to Hull (W0 D2 L2) since a 4-1 win in January 1996. Hull manager Nigel Adkins has won all five of his managerial meetings with Rotherham in all competitions (three with Scunthorpe, one each with Reading and Hull) – the last four wins have all been in Tuesday matches. Rotherham have won none of their last 25 away second tier away matches played on Tuesday (W0 D4 L21) since a 4-3 win at Walsall in September 2002, a match in which manager Paul Warne featured for the Millers. Rotherham haven’t won an away Yorkshire derby since March 2016 when they won 1-0 at Sheffield Wednesday, drawing two and losing seven since then.